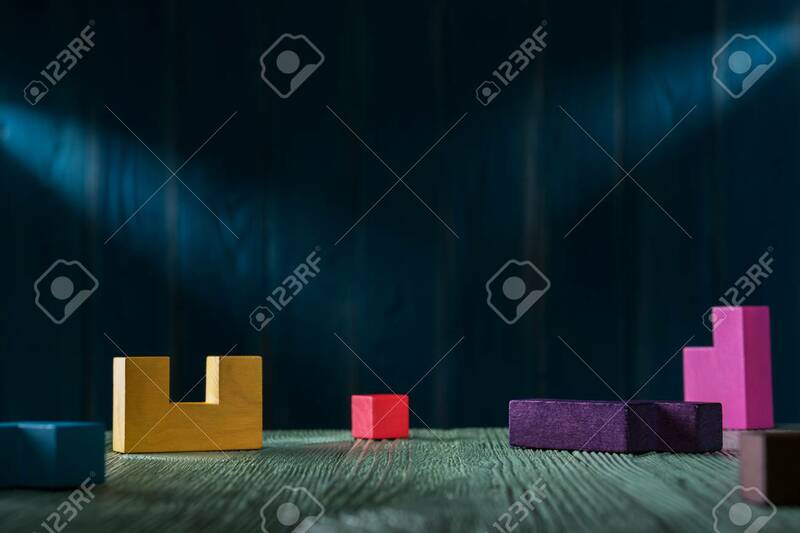 Different Colorful Shapes Wooden Blocks On Dark Blue Background. Geometric Shapes In Different Colors. Copy Space. Lizenzfreie Fotos, Bilder Und Stock Fotografie. Image 106385722. Standard-Bild - Different colorful shapes wooden blocks on dark blue background. Geometric shapes in different colors. Copy space. Different colorful shapes wooden blocks on dark blue background. Geometric shapes in different colors. Copy space.